Happy 4th of July, folks! In celebration, today we have a group giveaway! Poppy and Fern is offering a necklace of your choice! To enter, follow or like each of these lovely people (via facebook, blog, twitter, etc). Leave a comment here with your email address included. I will draw the winner on Friday, and they will be announced shortly after. Good luck! The papercuts are so neat! I've been following almost all of these beautiful human beings for a while now! Leonora at YHA is a gem of a gal! I follow her on twitter & at her blog. Drew is the cutest and i DIE for his scrapbooking fun! - I follow his blog and his twitter! 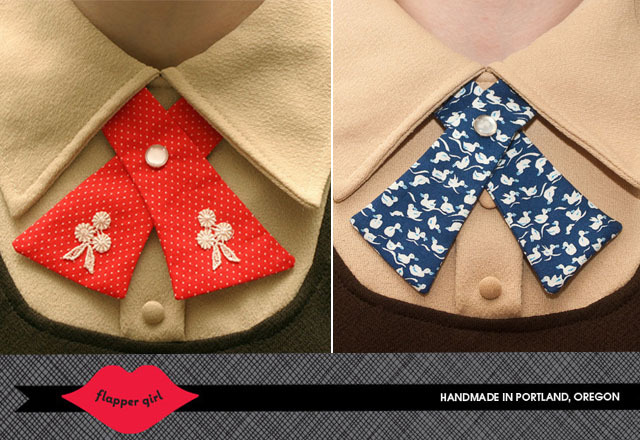 Flapper girl ties are some of the sweetest things that I would LOVE to add to my wardrobe of accessories! I "favourited" their store. Red Brick has a lot of fun things to look at and it'd be cool to have a personalized paper cutout! I follow their blog & their twitter!! What a fab giveaway... thank you! SO MANY ADORABLE THINGS. 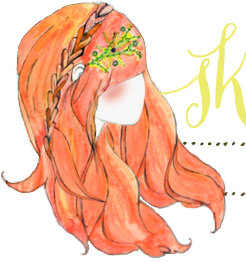 <3 Lovely giveaway. 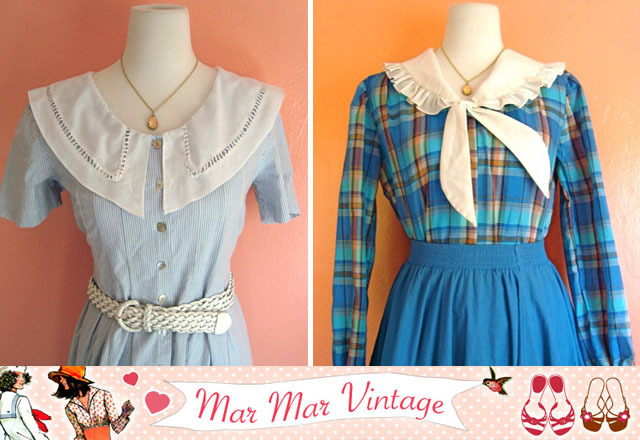 The lady Ties are so cute I might just buy one either way! What an amazing giveaway. Fingers crossed! Love this! I followed blogs or hearted shops of each of these. Thanks! I followed all these lovely people of Facebook. Such lovely things in your gieaway! Pick me! Pick me! Love all these items! Why a wonderful giveaway! theportlandgirl@gmail.com Happy Fourth to you and yours! So much cuteness in one giveaway! So pretty and artsy!! <3 all of this! Wow these items are cool!! So adorable! I really love this giveaway!!! 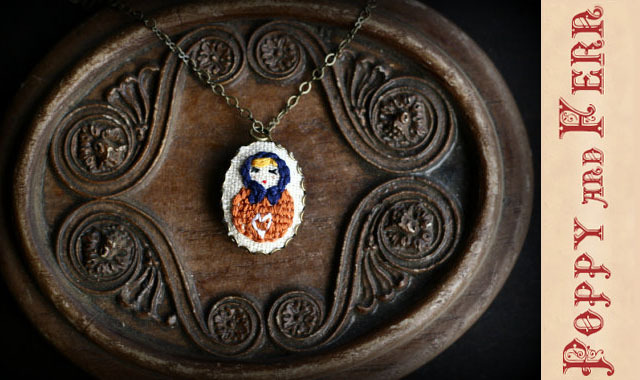 I'm excited about the Flapper Girl giveaway especially, I really like the Lady Ties! I think this is one of the greatest giveaways I've seen. I've liked them all on facebook! Oh my gosh that scrapbook is so amazing. I followed them all on Twitter (kerrywoah), except Flapper Girl Creations (liked on Facebook). Oh my god, you have no idea how I love the print! I didn't know that artist and I went to the etsy shop, what a lovely shop!!! I really like this print: http://www.etsy.com/listing/83962447/graphic-art-print-being-in-love-with-you I'd be the perfect gift for my boyfriend! And the "mirror mirror in the wall..." one is just too funny! Thank you so much for this giveaway and for descovering me new artists I did not know! Such a cute selection of handmade goodies! 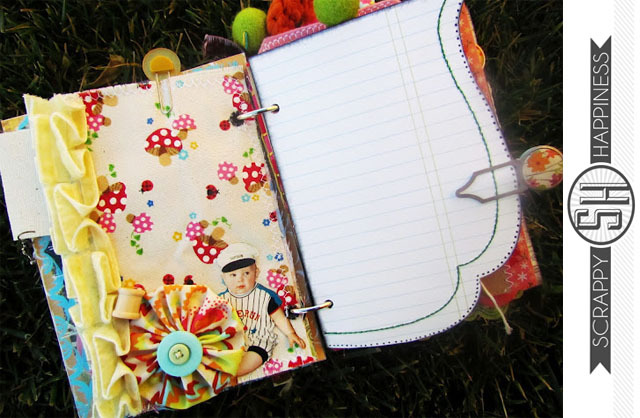 I love Drew's scrapbooks, they are adorable! Followed all on Twitter except Flapper Girl who doesn't have Twitter and her FB link didn't work :( I checked out her blog though! Done done and done! I love all of these! I followed all of the shops through facebook. Could not pick a favorite! Followed and "liked" everyone that I was able to. Awesome giveaway. Would be over the MOON to win this amazing giveaway! The facebook from Flapper Girl is not working!! Followed everyone except for Flapper Girl. Thanks Katie and sponsor crew! This is very cool! Thanks, what a great giveaway! I like them all on Facebook, following on Twitter, and following blogs! Yay! Following all via Facebook :). I love them all, but especially the necklaces of Poppy and Fern. Followed all of them! 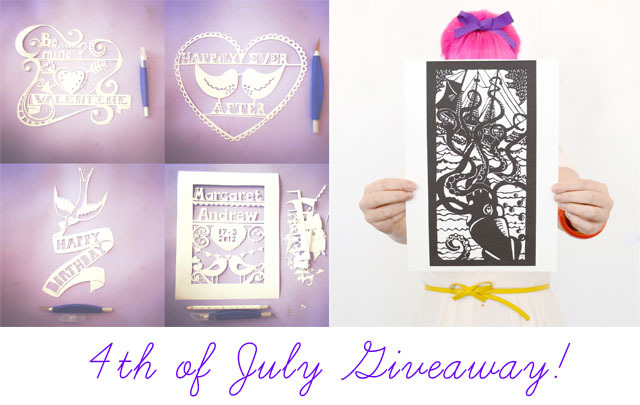 This is a perfect 4th of July giveaway! Liked them all on Facebook. Even if I don't win, I have some new online stores to purchase from now! Thanks! Following all. Lovely goodies here! Happy fourth! Happy 4th of July from Belgium! Yay, new blogs to follow! Lovely stuff! Adorable giveaway! Loving the papercuts! And am always keen to get one of Christine's lady ties - too beautiful! Oh my! I've wanted a lady tie in coral for so long! What a great giveaway! Happy 4th of July to you! 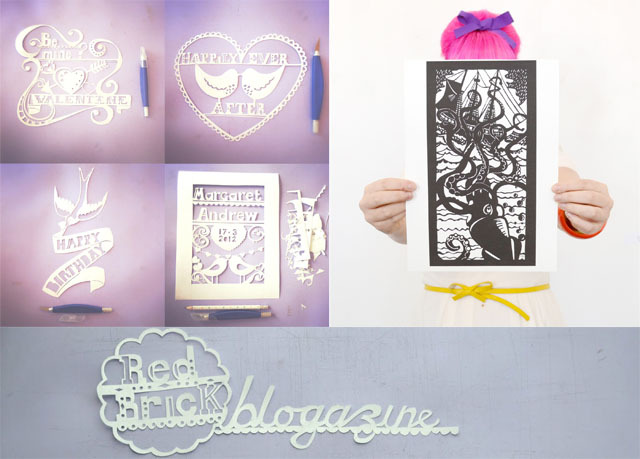 Love the cutout give away.Great Blog!The lovely Steph from Red Brick Gallery sent me here!Becca. All done! I love the "Ahoy to style" necklace and the plaid grey and black tie... all such beautiful items! Hope your Holiday was lovely!! What a great giveaway. All the gift are beatiful. I follow all the sponsor on facebook (exept Flapper Girl, the adress is not available...). I just love the Lavender Rose necklace from Poppy and Fern and the Dainty Floral Tie from Flapper Girl. I have liked/subscribed to them all on FB except Flapper Girl - I couldn't find her on there although I certainly would like to! This is such a great giveaway! Everything is too adorable:) Thanks! Following on blogger or facebook...loving digging through such lovely shops! I liked everyone on Facebook! the Yellow Heart Art is sooo cute!!! 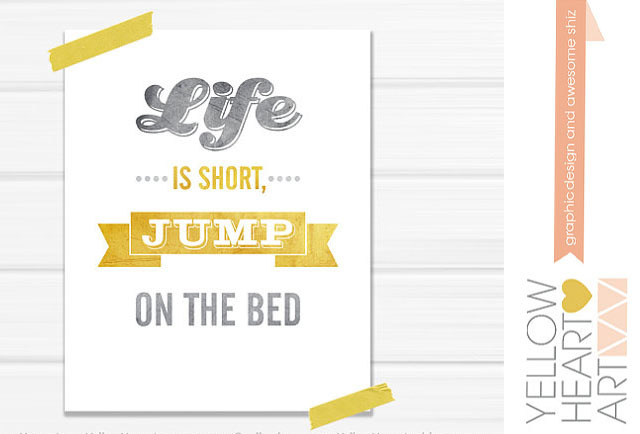 I just love it because I do believe life is short and sweet! plus everyone deserves to jump on beds! So cute! I followed some on FB and blogs! The giveaways are sweet like you! What an adorable giveaway! I liked, no loved all on Facebook. Thanks for the opportunity! I had a lot of fun looking at everything. I love them all! So pretty! I've been wanting to get a Flapper Girl lady tie for a while now! I love creative folks! Hope I am a winner and not a weiner! Too much cute in one giveaway! Such a fun giveaway! I'm following all of them on twitter (@noemiebeaulieu). thanks for having such a lovely giveaway ! i'm following them all on facebook. So exciting! I am following them on fb. Im following them all on twitter now. Hey Katie, I am sending you lots of love fron Germany! I read your blog every day during blow-drying my hair :D Keep it up! oooh...I would love a papercut with my soon to be last name: Rosenberg! This is fantastic! What a great way to kick off summer! Done! Thanks so much for this giveaway! This all looks so neat! Wow! Ooh I love everything especially the necklace from poppy and fern! Amazing giveaway! I liked them all on Facebook and I'm crossing my fingers and toes!! Omg, all these wonderful gifts! 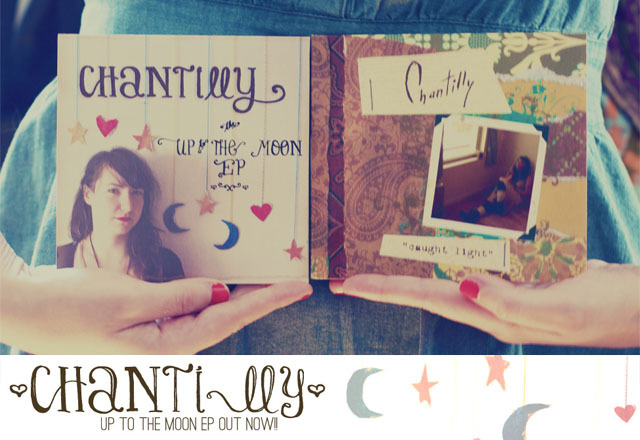 Those that have a Fb page I liked there (as Barbara Jurić) and I'm following Chantilly via bloglovin and GFC. I am in love with the Poppy and Fern necklaces! This is a great giveaway! Amazing giveaway as always!! Liked them on fb. Absolutely love the papercuts and the scrapbook! Actually everything is all so unique and quirky! Very talent people. This is my first ever entry into a giveaway as the objects were all so appealing. Fingers crossed. P.S. just wanted to say I love your blog - your enthusiasm for loving and living life is so inspiring! Also I have red hair too and your tips on how to look after it are much appreciated! Sulphate free shampoo is the way to go! In. Love. With. It. All. ! The paper cuts from Red Brick are just gorgeous! Eep! There's all such lovely shops. Followed! I cannot get over those paper cuttings! They are breath-taking. I'm probably too late..figured I'd try. Just started following you. I'm in love. i dont know if im too late but my email in leahrosey(at)comcast(dot)net! Following on twitter! The paper cutouts are stunning. Hi Katie! I know the giveaway is over, but I'm in love with the papercuts and clicked the link trying to order one. I can't find them anywhere on Red Brick's website! Do you know if they are available to order or how I could find out? Thanks!